Burnley beat Sunderland 2-0 last night in the FA Cup with a goal in each half, but this was as comprehensive and comfortable a victory as you are likely to see with us never being in an serious danger of losing the game. Most of the talk ahead of the game had been about the ticketing arrangements. Unfortunately, mixed messages hadn’t helped but there were suggestions of chaos ahead of the game and a very low four figure crowd, but, although busy, there was certainly no chaos and there was a healthy crowd of over 12,000 inside Turf Moor, the biggest home FA Cup attendance since Arsenal played at Burnley nine years ago. This was more like Burnley. In recent weeks we’ve had cloudless skies with the sun shining, albeit on the cold side. Last night it was overcast, damp and misty, one of those nights when you yearned for the opposition to come from the south of the country who never seem to do well in night matches on the Turf. As it was, it was struggling Sunderland from the North East. David Moyes generally went with the strongest side he had available although he did decide to leave out Jermain Defoe, the player who has scored well over half of their goals this season. Sean Dyche had teased us with a suggestion that he might make some changes. He did, seven in all which included the goalkeeper and three of the back four. The only defensive player to remain in the line up was Michael Keane who, as he’d done in the first game at the Stadium of Light, captained the side. Joey Barton returned the starting line up, as did Sam Vokes, and there was a first start for Michael Kightly since the home win against Everton earlier in the season. There were also bench places for Aiden O’Neill, who hasn’t played since the defeat at Southampton, and Brad Jackson, a player still to make a first team debut. Even with all the changes I thought we might have too much for this Sunderland side and the way the game started it looked as though we were going to blow them away in double quick time. Jeff Hendrick, playing in a more forward role, was playing well, as were Barton and Steven Defour as the Clarets took almost total control for some time. We forced Vito Mannone into a couple of saves and although the intensity of that first ten to fifteen minutes dropped off, we remained on top against a Sunderland side who didn’t offer much, and when they did they found us defensively sound right across the back four with James Tarkowski, as he’d done at Sunderland, in excellent form. We came back at them towards the end of the half and finally got our breakthrough with not much more than a minute of the half remaining. Boyd played the ball down the right hand side for Tendayi Darikwa. His cross was absolutely perfect for Vokes who got in front of his defender to place a deft header into the far corner. It was no more than we deserved, and having seen the first half it was clear that Sunderland would need a vast improvement in the second half if they were to have any chance of getting back into the game. 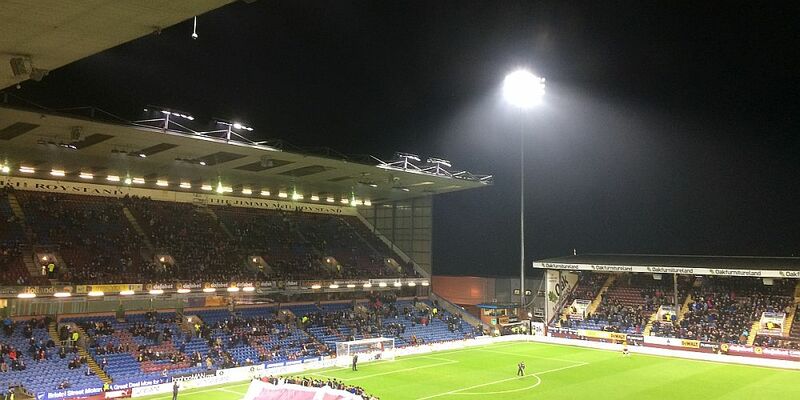 The second half, for a time, was flat, but it was still Burnley by far looking the better of the two sides. Then, Sunderland boss Moyes played his trump card, introducing Defoe with just under half an hour remaining. Defoe is still a top goalscorer but we needn’t have feared on the night. I can hardly remember him getting many touches of the ball, let alone goalscoring opportunities as the Clarets just took total control. The next change from the bench was ours with the introduction of Gray. Poor Sunderland central defender Papy Djilibodji. He’d been destroyed by Gray in the league game and he looked to almost visibly wilt at the appearance of our leading goalscorer. And it was with some just cause. Only six minutes later, Gray got his name on the scoresheet and the game was all but over. Tarkowski played the ball forward, Sam Vokes’ header down for him was inch perfect and Gray did what Gray does and fired past the advancing Mannone to book our place in round four with news coming through that Bristol City were beating Fleetwood and were our likely opposition. Sunderland hadn’t managed one shot on target in the entire match, but there was time for them to put that right. Almost on time they got in an effort which Nick Pope gathered comfortably. There were ironic cheers from the home stands as Pope, making his home debut, made his first save. Encouraged by that, they won a free kick, for which Barton got a yellow card, on the corner of the box and up stepped Sebastian Larsson. The last time I saw him take a late free kick in that position he was with Birmingham and we led 2-0. He fired home past Brian Jensen. He was again on target but this time Pope did make his first real save of the game. We’re through. This is a very poor Sunderland side, albeit with injuries, but they still had to be beaten and even with so many changes this was as easy a cup win as I’ve seen for some years. One former manager, with relatives in Scotland, would say, given the number of changes we made, that it augurs well. It certainly does and, as Dyche was so keen to suggest after the game, it shows the depth of squad we have now. With the likes of Matt Lowton, Ben Mee and Stephen Ward sat on the bench, both Scott Arfield and Johann Berg Gudmundsson injured, and with Tom Heaton, Dean Marney and Ashley Barnes given a rest, we still looked a very good side that was far too good for another Premier League club. I love the FA Cup, that comes from seeing the competition years ago when it was a major event on the football calendar. I hate the day when we get knocked out so I’m thrilled to see us at least in the fourth round and hoping we can get ourselves on a cup run. And despite the perceived ticketing fiasco, it’s really good to see us get such an attendance for the tie. This club of ours is taking great strides forward on and off the pitch. Burnley: Nick Pope, Tendayi Darikwa, Michael Keane, James Tarkowski, Jon Flanagan, George Boyd (Aiden O’Neill 90), Jeff Hendrick, Joey Barton, Steven Defour, Michael Kightly (Andre Gray 77), Sam Vokes. Subs not used: Paul Robinson, Matt Lowton, Ben Mee, Stephen Ward, Brad Jackson. Yellow Cards: Steven Defour, Joey Barton. Sunderland: Vito Mannone, Billy Jones, Jason Denayer, Papy Djilibodji, Javier Manquillo, Donald Love (Jermain Defoe 63), Sebastian Larsson, George Honeyman, Patrick van Aanholt, Adnan Januzaj, Fabio Borini (Joel Asoro 81). Subs not used: Mika, John O’Shea, Tommy Robson, Ethan Robson, Elliot Embleton. Attendance: 12,257 (including 1,377 from Sunderland).